The new ‘Pet Sematary’ has familiar elements of Stephen King’s classic 1983 novel and previous film, namely the haunted graveyard where the dead are buried but return as murderous incarnations of their former selves. The remake arrives in theatres 30 years after the first ‘Pet Sematary’ film found critical and commercial success. But it too has come back different, this time expanding on the supernatural premise to delve deeper into the emotional impact of grief. Soon after Creed and his wife, two children and their cat move into their new home, the doctor discovers a creepy cemetery in a wooded area nearby. After the family cat is found trampled, Creed tries to make things right for the sake of his daughter’s innocence, but quickly realises the ramifications of burying the dead at the sacred site. “You can’t protect your kids from everything,” said Amy Seimetz, who plays Creed’s wife, Rachel. Her character is still traumatised after witnessing her older sister’s gruesome death as a child, and she wants to protect her children from the idea of death in hopes they’ll have regular childhood. Clarke and Seimetz said Jete Laurence — who plays the couple’s daughter Ellie — did a superb job in a pivotal role in the film. 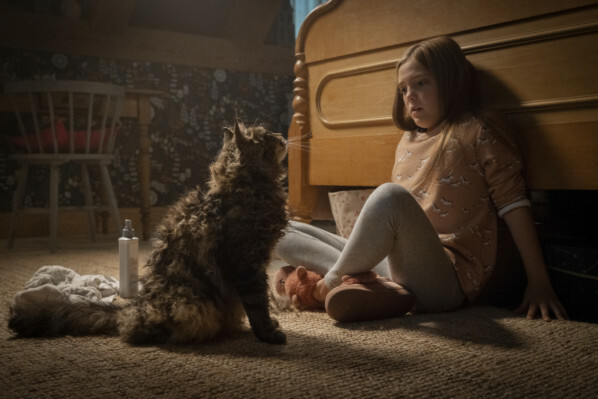 Laurence, who turned 11 while filming ‘Pet Sematary’, said she hadn’t seen any of the previous films, but she quickly learned about the story’s premise that death could birth pure evil. The new ‘Pet Sematary’ is the second film version of King’s 1983 novel. The first adaptation in 1989 found critical success starring Dale Midkiff, Denise Crosby and Fred Gwynne. A sequel that followed three years later was met with less favourable reviews. Kevin Kolsch and Dennis Widmyer, the remake’s directors, said they grew up reading King’s novel and were fans of the older films, both directed by Mary Lambert. Kolsch and Widmyer felt they needed to include elements from the book such as character names and some story lines, but insert their own twists. Kolsch said it was important to bring back the film to update newer audiences to the story. He said the focus was more on the story than enhancing the cinematography experience in the new film compared to the previous ones.